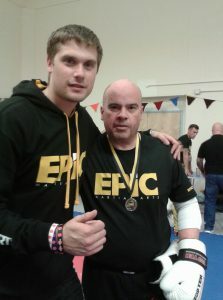 Matt joined EPiC martial arts in August 2015 and has worked hard in building his clubs in Yate, Bristol and Chepstow (with Andy Cleeves). He sheds light on his personal likes and about his story so far. Matt: (laughs) well this will be banter for me, I like food in general. Although like most kids I’m siding with pizza on this one, in particular American Hot. I love jalapeños! Q: What’s your favourite TV programme/series? Matt: If I’m honest I don’t get much time for watching TV as there is also so much going on with EPIC and Total Combat, but the only series I’ve ever completed and absolutely love to this day is Prison Break. Q: How old were you when you first started martial arts? Matt: I was 5 years old, I have been training on and off now for over 21 years and that makes me feel old! Q: What styles do you train and teach? Matt: I’ve dabbled in a lot of styles, Tang Soo Do, Judo, Brazilian Jiu jitsu, Tae Kwon Do but my main styles are Kickboxing, Krav Maga and Eskrima. I also trained ‘self defence’ with independent teachers and ex-military guys who have shown me some very useful tips and tricks. Q: What are your goals for the next 12 months? Matt: Trophies. I am aiming towards getting higher grades in all my styles and to build Yate, Central and Chepstow to be recognised classes across the counties as THE place to train. We are moving in the right direction but I want to step up momentum. I want my daughter to start training too! Q: What’s your best achievement to date within martial arts? Matt: Well surviving my week of training in Israel back in 2013 was an achievement! That was brutal but I’m most proud of my Bronze medal at the Irish open in 2016. Hopefully I can better that next year! 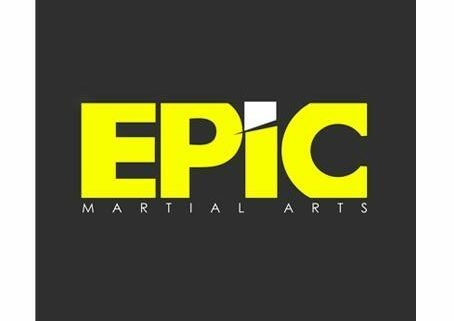 Q: What’s training with EPiC like compared to training in Krav Maga? Matt: completely different, fitness levels are much higher in kickboxing compared to what is needed in Krav Maga. 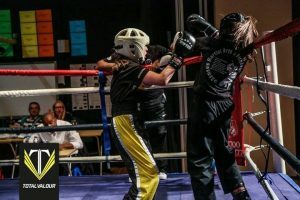 They have to be.. Competition fighting requires you to give your energy over 2 or 2x 2 minute rounds whereas Krav Maga is designed to, if needed, use all your energy over 4 seconds or so. Your adrenaline takes care of the rest as you run for your life. I love both types of training, I won’t lie though there is a feeling you get from points fighting that self defence training can’t give you. 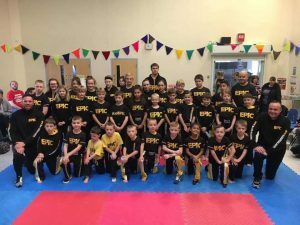 EPiC is full of great positively minded people and the training gives you a good insight into how to be better people rather than just a skilled martial arts practitioner. Q: If you could go into the Imacelebrity jungle with 5 others from EPIC who would it be? Matt: What a terrible show. If I had to? Hmm well i guess it would have to Andy C, Andy G, Kam, Gio and Crusey.. I would win on pure entertainment alone. The public would love a show with us characters on it! Q: Who would win in a fight between a high level kickboxer and a high level Krav Maga practitioner? Matt: (laughs) the million pound question! If I had a pound for everytime I’ve been asked this then I could retire, there is no right or wrong answer. There are different types of training and a ‘high level’ in one club might only be at the same level as an ‘intermediate level’ at another better club. Ultimately this is only an opinion based question so my answer will be, whoever gets the first decent shot in! Q: Who are your martial arts idols? Q: If you could fight one person in the world who would it be and why? Matt: That’s a tough one because I would want to fight so many people. All the loudmouth arm-chair know-it-alls who claim that this martial art is this and that martial art is that who have never practiced one kick. But of course if I could fight one person then Conor McGregor.. I would take a decent 7 figure sum to get beaten up ?? although I have 50lbs on Conor!! Q: What other jobs have you done except for teaching for EPiC? 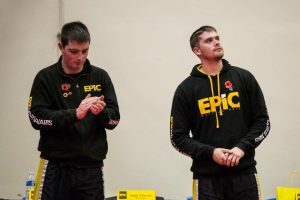 Matt: I was a building labourer, apprentice stone mason and qualified as a plasterer over a 5-year span from 2009-2014 before going on to run Total Combat- my self defence academy- for 8 months before joining EPIC in August 2016. Before being a builder I worked for Marks&Spencer in 2009 and before that believe it or not I had a broken ankle which was really bad when I was at college. So to fill the time around studying I was sponsored to play on my Xbox360 by a German ‘clan’. The original Call of Duty 4: Modern Warfare was the game I played back then. I got rid of my Xbox in 2010 and haven’t had one since. Q: What music are you into? Matt: I like a lot of different types of music but I can’t stand opera. I’m also not a massive fan of dubstep- it sounds like someone has broken the track and makes silly sounds over the top of it.. I used to go and watch live music a lot but nowadays I don’t have time for it. Q: What are your roles in EPiC? Matt: I am in control of making sure the website content is updated, I am our official ‘reporter’ as writing runs in my blood. My dads an author, a blooming good one too. Obviously I am a coach and I compete too on my quest to get a GB squad place and compete at the euros or worlds in years to come. I also liaise a lot with the other senior coaches to make improvements to what we do, we believe that we should evolve always. Q: Final question, what is your favourite part of your job? Matt: looking back and seeing how far everyone has come in that time. There is no job satisfaction like it. Matt has set pretty bold goals over the next few years, fingers crossed he gets there and keeps himself injury free. Team EPIC Continued a November to remember as several of our members stepped inside the Total Valour (TV) ring in front of 250+ people. The Total Valour 3 crowd were noisy even though the numbers weren’t as high as the previous ‘TV2’ audience which was believed to be in the region of 300-400. The home fighters filled most of the ring-side tables and the support behind them was deafening at times. The fighting opened up with several back to back fights with EPIC students. First of all Harrison Doyle stepped into the ring against experienced Storm fighter Igor Krygier. The fight opened up well from the start with neither fighter scoring any decisive techniques in the early exchanges. A lovely two-punch and roundhouse kick combination landed for the home fighter which got the crowd going. However with slick movement and stronger landing combinations Krygier was up at the interval. The second round Doyle started better and set up an interesting first 30 seconds before the intensity wore off and the Storm fighter did enough to claim the win. 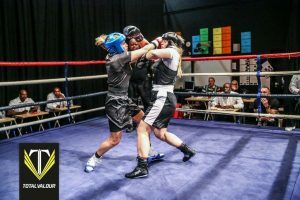 Next up was Jess Andrews who took on the Nemesis club fighter Lailah Hanif. The bout started with the usual pleasantries but with a stare of intent from the taller Hanif. After final words from the coaches either side referee Lloyd Allen started the fight. Hanif was on Andrews in a flash with an array of kicking ability on show but Andrews covered up well early on. She found herself a few points down due to head kicks and a couple of combinations in the first minute of the fight before Andrews settled and fought back. Three times Andrews had Hanif pinned in the corner of the ring while she rained punches down on her. The round ended narrowly with Hanif up. The second round was more of the same, with the points talley going to the away fighter by a unanimous 1-point margin. What a close fight! There could have been another swing to this one as much of the home crowd and coaches felt that the 5-times that Hanif’s gum shield came out was excessive and should have carried a penalty but referee Lloyd Allen took no action. The third fight saw Dylan Hunt fight JBS fighter Cjay Jackson. The action in this fight was fairly one sided with plenty of strikes landing from Hunt as he racked up the points with further kicks to the head to be comfortably ahead after the first round. The second round was more of the same as Hunt continued to dominate his opponent. He moved well and threw crisp combinations in front of the cheering crowd, with a roar every time a head kick landed. Lloyd Allen lifted the home fighters hand and one final roar of approval from the home fans greeted the lifting of the trophy. The beautiful young Teia Doyle stepped into the ring next against JBS fighter Chelsie Bates after Bates’ opponent pulled out at the last minute. This was a great fight and one that the crowd was in awe off for more than one reason. Not only did both girls put their heart and soul into the fight but they are both small, cute and only 7 or 8 years of age. With both fighters throwing lots of combinations the straight punches were what were landing more and Doyle was throwing more straights compared to Bates’ preference to kick first. This was what gave her a slender lead at the interval. The second round was Teia’s comfortably as she showed little sign of fatigue and the pace didn’t drop at all. The referee lifted her hands up to the delight of the home crowd. 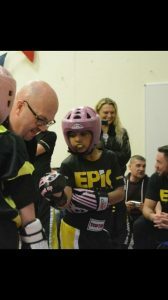 For the fifth straight fight EPIC were present in the ring. 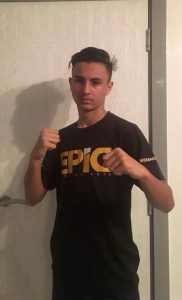 The home fighter represented everything that was good about martial arts and the youngest ever fighter to step in the total valour ring to date. 6 1/2 year old Harvey Pollard stepped up to the plate and did his very best despite only beginning continuous training 6 weeks before. Both fighters threw lots of punches, a lot didn’t land but those that did brought roars of approval from the crowd as both fighters poured everything they had into this bout. 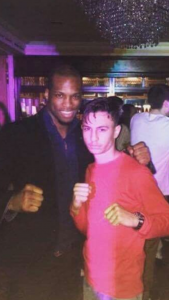 Pollard’s opponent was JBS fighter Fred Stokes, who brought with him a talent for kicking and slightly slicker combinations that his younger opponent. The first round was Stokes’ but not by much. 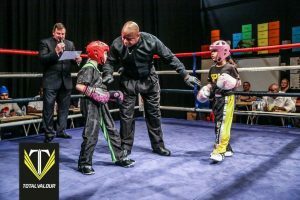 The second round was a close affair with the judges scoring the victory to the older boy, but a great effort and entertaining fight from both fighters. Fight 6 saw EPIC’s Dean Andrews win by the first TKO of the night. He rained slick combinations and high kicks down on his opponent, which during round 2 was just too much. Storm fighter Adam Devet was unable to carry on and referee Lloyd Allen called a halt to the action with over a minute to go. The perfect combination of Jab, cross, Jab, round kick landed time and time again, scoring points at every attack. The points difference at the break was healthy in Andrews’ favour and would have taken a serious turn around in round 2 to have not resulted in a home victory. A couple of fights went by before the co-main event which was none other than world champion Kameron Doyle against Welsh champion Liam Cross from Storm. The fighters both came out to great songs, pumping the crowd up for the spectacle that was about to unfold. Both fighters were up for the fight as the gloves touched in respect before the bell went to signify the start of the action. Doyle was first to go, striking his opponent with a solid 3 strike combo before ending it with a round kick that thudded into Cross’ guard as a sign on intent. Cross threw a few combinations before Doyle landed a sickening head kick that downed his opponent for a 7-count. Doyle dominated the fight totally from there on, almost KO-ing his opponent with a spinning hook kick and landing so many punches that he was easily up at the break. The second round started much the same as the first round ended. Doyle landing more shooting techniques as the fight grew more into the Kam Doyle show second by second. After a jumping back kick landed into Cross’ guard and a sweep took the Welshman to the ground, Doyle was looking to wow the home crowd by ending the fight before the final bell. After a slick punching combination landed, Cross threw the towel in to avoid further punishment and the winner by TKO celebrated in front of the home crowd and a pulsating atmosphere was across the venue. After the interval it was the ladies turn as Grainne Quinn took on Body Focus’ Emma Sheppard in a 2×2 minute boxing bout. The match was met with a ground-shaking noise from the TV3 crowd. Both fighters put everything into round one with two and three punch combinations landing from both sides. Quinn was moving better than Sheppard but Sheppard was hitting harder in round one where the score was so close at the interval that you cut the tension with a knife. The second round saw the fighters tire and a lot of the round was littered with the ladies coming together and hitting each other equally with shots, with the odd sickening strike to the face from both fighters. The final score was a split decision win in Quinn’s favour. 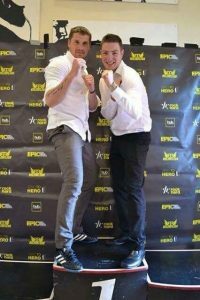 Next up for EPIC was Lloyd Brown against Simon Harrison from the highly regarded Jamie Woodlands Black Belt Academy. The first round was all Harrison as he littered his smaller opponent with combinations left, right and centre as the experience counted. Brown had a late flurry in the first round as he took the fight back to Harrison. The round was up in the away fighters favour. The second round was an identical version of the first round. The final decision was in the JWBBA fighters favour but now Brown has the experience in the ring he has vowed to come back stronger next time and is going to hunt for victory in the ring. 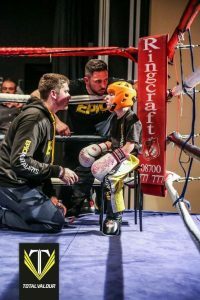 Luke Coombes was next up to fight, in his first ring bout as he left the home crowd buzzing with an opening exchange with opponent Paul Smith from Fighting Fit gym. The fight night atmosphere was electric as the two fighters shared slick-strike combinations and a mutual level of contact. The fight went on to be one of the more entertaining on the night and the two fighters had a lot of skill on show. The first round was very close in the FF fighters favour. The second round was just as entertaining, with the action running strong right up until the buzzer. Both of the fighters landed shots and both were taking hits in their stride. The final result was unanimously but only just in the favour of Smith. 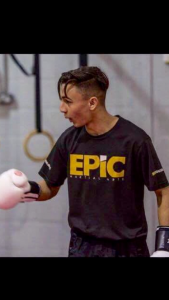 The final fighter to represent EPIC on the night was fan favourite Rakan Sabbah. 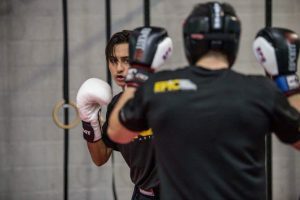 Sabbah, who won at Total Valour 2 back in May stepped into the ring for the second time in 6 months and opened up his account for the night by flying at his opponent. The early part of the first round was an even affair but Sabbah soon showed his attacking prowess as wave after wave of ‘Palestinian power’ combos landed from the Jordanian fighter. Sabbah won the first round and dominated the second round by hitting his opponent Guy Trotman all around the ring, scoring a lot of points. The crowd went wild as his hand was lifted in a unanimous decision to claim his second win in two ring bouts. A great victory for the warrior who always believes. The night had one fight remaining which was the main event. The heavyweights battled out a skilled and heavy hitting bout which ultimately unanimously went in the favour of fighting fit warrior Reece Phillips over Adam Drescher of JWBBA. 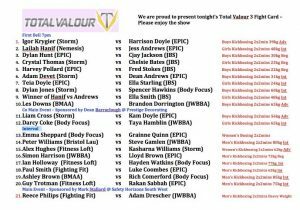 A great nights action, Total Valour 4 will take place on February 25th 2017. Welcome to the second weekly instalment of coaches corner, last week senior coach Ben Gill shared some of his hobbies and goals with us and we’re sticking with the youth for week 2. This time we’ve picked on junior coach and recently crowned world champion Kameron Doyle. 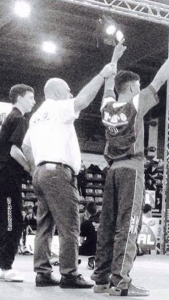 The 16-year old has had a phenomenal season on the mats winning more than 25 gold medals, trophies and will crown his season off tomorrow night in the ring at TOTAL VALOUR 3. Q: You’re a world champion now, congratulations- is that (in your opinion) the best achievement you’ve had to date? Kam: Yes, being a WAKO world champion was a big dream for me when I was younger. When you compete out there obviously your fighting everyone from across the world and many different countries. For me it’s another goal which sets me up for my future and motivates me to carry on achieving! Q: Who is your all time biggest inspiration and why? Kam: Well I have TWO. My first one is one from a long time ago and unfortunately passed away this year and that is Muhammad Ali, this is because for my opinion he was a great person and did a lot for boxing. Not only that but he also had a great character and was a brilliant fighter. The second one is Conor McGregor, he’s my inspiration because he shows the value of working hard to make it to the TOP, also again he has a great character and he’s an entertainer for sure. Finally, McGregor really shows how self-belief and a strong mindset can help you succeed in challenges! Q: Who can take the banter the best in EPiC and who is the worst at taking banter? Kam: Haha, good question… okay so the person who takes the banter the best has to be Matt Roberts, he is always getting abuse for not getting a two week haircut and just other things, he takes the banter like a pro and he knows it’s all a joke and we mean nothing by it. The person who is worst at taking banter is Ben Gill. Q: What’s your favourite all time TV programme? Kam: I don’t really watch TV often but when I do the best TV programme of all time has to be ‘The Walking Dead’, the series is brilliant and many people will agree with me. Q: What’s been the worst moment in your martial arts journey so far and how did you rebuild/get over that? Kam: The worst part in my martial art journey.. Well there has been a few things but they’ve only made me come back stronger and succeed more! One major thing is pain. I usually struggle with pain in the tendons in my thumb and when I over extend it or something it creates the worst pain possible for me. Andy C knows that feet and hands are the worst for injuries. But this is no excuse not to train. When I get injuries I carry on as that is the mindset I have always been given by Andy C and getting older I really start to see how that way of coaching helps students become successful. This is because it teaches them the message of resilience. Things are hard in life and coming back from tough things does make you stronger that is why I take no excuses for injury unless it’s very bad. Q: What are your plans/goals for the next 12 months? Kam: I have all my goals written up and not only that but how to achieve them one thing I’ve learnt this year is that if you write down a goal without stating what to do then there is no point because it won’t be completed. But my plans/Goals for next year is to carry on doing well for myself. Q: If you had to go on holiday with only 3 members of the EPIC team who would it be? Kam: Only 3 let’s make that 5, one starting off being the most important…. Q: What is your future aspirations in terms of martial arts, what do you want to do next in your journey? Kam: Next in my journey I want to stay in kickboxing and on the circuit, but I want to experience different combat, different styles and more! Im hoping in the future that I will have a range of different skills. Q: If you could face any fighter in the world in any discipline of martial art, who would it be and why? Kam: At the moment, I would like to face an incredibly amazing fighter Demetrious Johnson in the UFC combat because as I’m his weight and roughly height I feel it would be a good matchup. Also it would be a good shot to try that type of combat sport. Q: What is your least favourite meal to eat? Kam: I don’t have one I LOVE FOOD ❤️ food is LIFE!! Q: If you could have any of these as a pet which one would you choose? Snake, baby Crocodile, Lizard, Lion or Tarantula..
Kam:Lion- fierce and it’s always looking for prey! Q: Who’s the funniest person at EPiC? Kam: That has to be Steve Cruse, at the age of 64 he is one of the funniest people and gives it his best shot but is a distraction when training as he loves to talk about beauty shows and Matt Roberts’ awful haircut. Q: Final Question, what’s been your favourite moment of the year apart from the world championships? Kam: When I was in Milan, in Italy. I was entered into three category’s and managed to win all three… these included -57 (13-15), -63 (13-15) and -57 (16-18) Luckily head coach Andy C could make it to that competition and I really wanted to show him my capabilities. 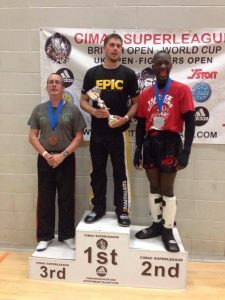 I did also beat someone in the 16-18 cat who came over to England and taught me a seminar… I managed to beat him then went into my last final after winning two category’s and won that one too. This was good for me because not only did I win but I created an image in my head that if you believe you can do it then you can. On a day that had several long speeches, 10 challenge matches, 73 divisions, an awards ceremony and a final round-up of goodbyes for the year on the fight circuit, team EPiC continued their success on the tatami. November has seen the two final tatami competitions of the year and leaves only total valour 3 remaining this coming Saturday. Tickets are still available for that event too, so to see team EPiC’s captain and world champion Kameron Doyle in action then make sure you get one. The team took 12 competitiors and 2 coaches to Maidenhead for the conclusion of the CIMAC SUPERLEAGUE 2016. Between them they took 5 golds, 4 silvers and 5 bronze medals on the day which means 14 medals which adds to our 65 medals won at the BBBA competition last weekend. Meaning the team has taken 79 medals between 47 competitors in a week! Our CIMAC squad: Harvey Tyler, George Sherlock, Teia Doyle, Ellie Doyle, Harrison Doyle, Sadie ‘warlord junior’ Worland, Dylan Hunt, Amy Kingscott, Ben Davies, Justin ‘warlord’ Worland, Jordan ‘Snake Leg’ Sambells, Michael ‘supercooper’ Cooper. 5 of our team came away as ‘grand champions’ of their divisions this year and they are Harvey Tyler (x2), Ellie Doyle, Teia Doyle and Matt Roberts. Harvey Tyler took a silver and two bronzes on a day where he claimed two superleague grand champion plaques. He fought well and was unlucky not to have come away from more in his points divisions. 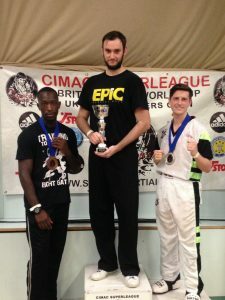 He lost out in continuous to the talented Brandon Swaby in light con but claimed a bronze by beating team mate George Sherlock in the playoff fight for 3rd. George Sherlock had a frustrating day being drawn against teammate Harvey Tyler twice and had tough draws in his other categories however he did win himself a well-earned bronze medal to make the trip home a little sweeter. He showed a maturity on the mats and took defeats, when they came, gracefully. Ellie Doyle had a successful day on the mats. She opened her account for the day by winning a gold in her first points category before suffering defeat to Wolfpack rival Poppy Giles. 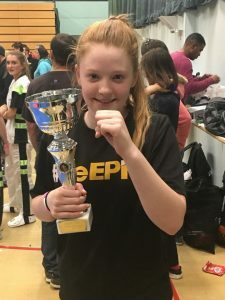 However she bounced back to beat tough SAS fighter Ellie Harvey 2-0 over two 1.5 minute rounds to win her challenge match and subsequently took a plaque in her first points category as grand champion 2016. Jordan Sambells powered his way through two very tough opponents to win his points category. He took apart his first opponent with fierce and precise kicking to score two headkicks on the way to a 7-4 victory. He then backed this up in the final by beating talented SAS fighter Sam Leggett in the final using his fast-becoming trademark style of snake-leg. The chamber rose time and time again to push his opponent onto the back foot and using his long reach to take single points in abundance. Sadie Worland recovered from a slow start against her first opponent to claim gold in her category. A fantastic performance in her final saw a 9-2 scoreline which lead to her trophy. A good return to action after illness and a great platform to build on for 2017! Justin Worland showed perhaps his most skilful display yet as he used a push and pull movement to draw in his opponents before mixing his techniques up between blitz and side kicks to pave his way into the final. He dispatched SAS’s Sam Leggetts in style in the semi finals before meeting an awkward fighter in the final whom he narrowly lost out to, but a silver medal for his gallant efforts on the day. Ben Davies opened his account at the CIMAC against selected GB fighter Nathan Armstrong. Ben recovered from 4-1 down to take the fight to an extra 30 seconds at 5-5. The extra 30 seconds started off with Nathan nicking a point off Ben with a quick counter and then Ben pulled out of a technique which was punished with 8 seconds remaining. Davies pulled a point back with a quick blitz off the mark but was unable to draw the last point to force sudden death. He beat his opponent in the 3rd place fight off to claim a bronze. Dylan Hunt ended his 2016 competition engagements with a silver medal from his continuous category in which he was required to fight back to back in the semi final and final. A difficult feat for any fighter, Dylan didn’t quite have the energy required in the final 30 seconds in which his opponent scored enough points and ultimately went on to win in a split decision. 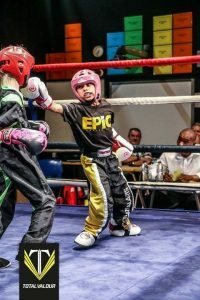 Teia Doyle, our youngest fighter on the day at the tender age of 7, won her category after coming through 3 tough rounds. Pick of the fights was against wolfpacks Nyla Roberts which was close. She took her trophy and ultimately this meant she was the grand champion 2016 so she too took a plaque home. Amy Kingscott has made a return to fighting after a long break with two competitions in 4 weeks. She backed up fighting at Bristol with a performance in the CIMAC. In a division with Ishana Moores and Nesta Baxter competing in, this was going always going to be tough. Amy stepped up and did her best but ultimately her first round opponent progressed to the next round. Harrison Doyle took a silver and bronze to complete his tournament schedule for 2016. It’s been a mixed year on the mats for the younger male Doyle brother but he ended it strongly with two medals. He showed better control on the mats and kept the pressure up for the most part in his performances but ultimately fell just short of gold. Mike ‘Super’ Cooper was deducted 9 points from his continuous fight before he even started for being late onto the tatami and ‘unprepared’. Despite both Matt Roberts and Andy Cleeves protesting this the decision stood. Cooper dominated his opponent throughout the fight and must have pulled it back to within one or two points but ultimately he didn’t do quite enough. He landed powerful combinations, solid body kicks and moved around the tatami’s well after a gap in competitions since the summer. The club would like to thank all the families that have travelled with us and supported this years events and ask for one more rally of support behind Total Valour 3 on Saturday night, tickets are only £20 for a whole night of entertainment, with a bar and a friendly-fun atmosphere to accompany each and every bout that happens inside the ring. For more information speak to Andy Cleeves or Matt Roberts. An interview with…. BEN GILL. 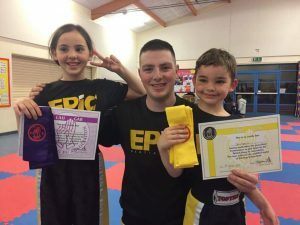 Ben is the youngest senior coach at EPiC Martial Arts and has been speaking about his past, present and future. We fired some questions at him and have documented below his responses. 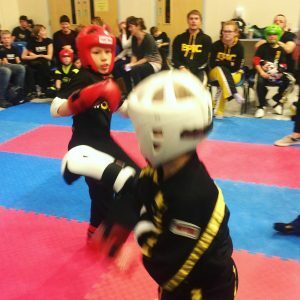 Ben teaches Kung Fu in Bradley Stoke and Filton, he also coaches at the Sparring Academy. 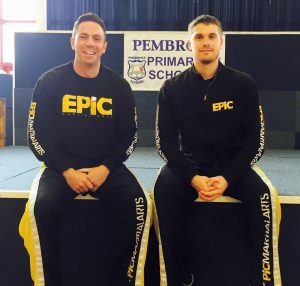 Son of senior coach Andy Gill, Ben has been involved with EPiC since the start. Q: How many years have you been training martial arts and what are your thoughts on it now compared to when you started? Ben: I have been training for 16 years now in Kung Fu. My thoughts on it now is it is still an amazing thing to learn and teach and pushes you even harder than ever. Q: What’s your favourite type of takeaway? Q: Describe how taking a black belt in Kung Fu feels as you’re doing it? Ben: taking a black belt in Kung Fu is the most amazing nerve wracking thing I have ever done but is the best feeling in the world that you have final got to the goal I have dream for since I started. Q: If you had to take one celebrity on a night out (as a friend) who would it be and why? Ben: It would have to be Bruce Lee because he has always been my idol and someone that I looked up to as a role model. Q: Are you working outside of teaching Kung Fu? What do you do for work? Q: What is the worst song of all time in your opinion? Q: If you had to have a rap battle with anyone from EPIC who would it be against? Q: What are your thoughts on martial arts movies? Ben: love watching them best films every especially the karate Kid. Q: What is training with Andy Cleeves like? Ben: training with Andy Cleeves is the most challenging thing ever he pushes you to your max and gets the best out of you. When you spar him he hits you around the mate but also to get the best out of you. It is awesome to train with someone that wants the best out of you and is a privilege to train and teach with Andy. Q: What’s the most rewarding thing about teaching Kung Fu? Ben: seeing all of the students pick up there next belt in their martial arts journey. Q: Are you training in any other style of martial art? Q: Final Question, If you were to go on ‘who wants to be a millionaire’ who would be your EPIC ‘phone a friend’ contact? Ben is looking forward to the Christmas party along with everyone else from the coaching team and will see you there! Medal Galore at Biggest day yet! 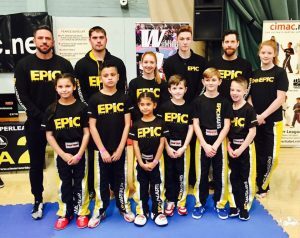 Sunday saw EPIC their biggest team to date down to the BBBA interclub competition in St Austell. 35 competitors, 3 coaches and an army of supporters (parents) travelled the 320-mile round trip to Cornwall for what could be the final competition of the year for some. Coaches Andy Cleeves, Andy Gill and Matt Roberts were all pleased with the progress that was shown on the mats and the immediate imposition of what was covered at the previous day’s squad training. 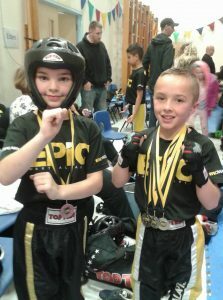 With the ‘gladiators’ category kicking things off it was destined to be a great day with Harvey Pollard opening epic’s account of the day with a strong victory over his opponent. 6-year old Harvey went on to claim a gold and a bronze on the day and narrowly lost out on another bronze by one point. His progression is one of the reasons that he is a member of the ‘rising stars’ group. Kailem Mulligan claimed another medal for team Wales, this time a bronze in a tough category. He fought well on the day and landed a perfectly timed spinning hook kick on his way to the bronze medal. Mulligan, 8, is showing his ever increasing understanding of the game. Lainey Thorpe overcame nerves, reservations and stepped into the unknown as she competed in light continuous for the first time, after encouragement from coaches Andy Cleeves and Matt Roberts, Lainey went on to win silver which added to her two bronze and one well-earned gold in points fighting, it was a successful day. Rowan Redgers came away with a silver medal in his points fighting category to complete a good day for the Redgers family. The younger brother was unlucky not to come away with more and in particular excelled in the gladiators category. An acrobatic display with the shield and baton mixed with a hard-hitting attacking style bode well as he claimed silverware. Jess Andrews had a great day on the mats bringing an array of kicking prowess and fast blitz movements to claim a gold and three silvers! Her performances were very easy on the eye. She trained hard Friday night, Saturday at squad training and then competed well all day Sunday. Finlay Cozens was unlucky to not come away with a gold as he showed a warrior’s spirit and often overwhelmed his opponents with his fast and aggressive style of fighting. He had some very entertaining battles in continuous which he ultimately took a silver medal. This medal, added to his two points-fighting bronze medals from earlier in the day, left him with a big smile on his face. Sean McDonald was unlucky in both draws and a few decisions as he narrowly missed out on medals in every division by 1 fight. He fought WAKO GB members, experienced fighters and some of his fellow ‘rising stars’ team members. 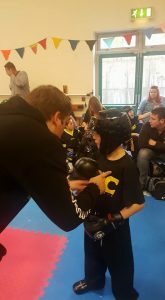 Another bout of experience for the young hard working martial artist. Jack Pollard continued developing his defensive counter fighting style winning a gold and bronze. 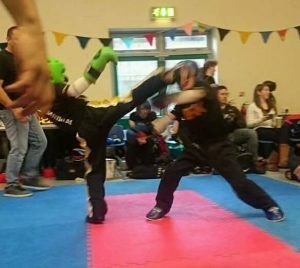 He came through two separate bouts winning 1-0 (counter reverse punch) and 3-0 (counter head kick) which were tense bouts. Ollie Lawler fought hard and was close in every fight so was unfortunate not to come away with a medal from his displays. He did however come away with valuable experience and took defeat like a true sportsman, a trait that we insist on from our fighters. Oliver Hiscutt narrowly missed out on being the 8 years and under superstars champion but fought gallantly I’m taking silver. He also took a bronze in the -135cm advanced boys points fighting. A fantastic days work by the young Spartan. Oliver’s progression in the sport at such a young age landed him a place on our ‘rising stars’ programme. Brooklyn James performed very well on the day claiming 2 gold medals and a silver as he dismantled his first division and winning the final 7-1. His second category was tougher but he stepped up his game and claimed his second gold. He reached his third final but narrowly lost out in that one to claim three medals from 3 divisions. 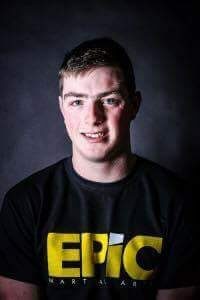 Harrison Doyle took home 5 medals on a day of frustration at first at 3 semi-final defeats before going on for a silver and then ending the day on a high by winning the final EPIC fight of the day to claim a gold in Light Continuous. 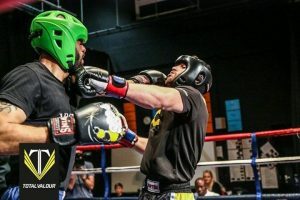 Mike Andrews stepped up to fight a seasoned fighter in one division taking a silver and backing that up showing a new-found aggressive style as he took the fight to his younger opponent in his second category. Claiming a second silver in that one with a narrow 2-point defeat shows how far he has come in a short space of time. opponents and it worked well as she fought well against tough experienced fighters including her best friend Jess, which is always a great spectacle. Regan Wilson took a silver medal and a well earned one at that. Demonstrating his attacking prowess early on, he set about overwhelming his opponents in the earlier rounds before showing he is beginning to develop an understanding for setting up entries while fighting. Ellie Doyle did what she did best and claimed yet more silverware for the Doyle household. Some say the walls in their house are built from trophies, this could well be true and they are on the way to building an extension at this rate with Ellie’s 4 golds and a bronze. 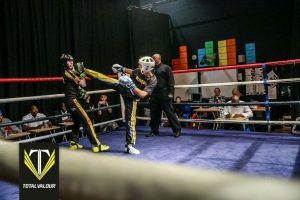 Little Ewan Thain poured his heart and soul into his performances coming through some tough fights in his earlier categories. A natural in the gladiator division, wielding a padded shield and foam baton, he terrorised his opponents with his direct style which was great fun for all to watch. He ultimately took a bronze medal on the day which was pleasing to see. Dean Andrews took home 2 bronze to complete a 8-medal haul for team Andrews on the day. His points fighting was improved from the previous EPiC open and he claimed his first medal in that. He backed this up with a bronze in light continuous, losing out to seasoned fighter Alex Fellender-Evans in the semi-finals. which turned the tie in his favour and he never looked back. Although he didn’t get into the medal fights, the progress made over the last 2 months is great. Cordie Light fought valiantly on Sunday to earn a silver medal in a tough category. 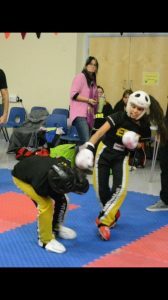 The youngest member of the Light family was in full flow as she battled through to the final and was only defeated by a seasoned competitor in the final. All the coaches expressed positive opinions about her performances. Hayden Beard was very unlucky to not come away with a bronze with a narrow 3-4 defeat in his first category. It was a much better rounded performance than at the previous EPiC open and he was evenly matched with his opponent all the way through. Team Wales are building each time they step on the mats and Hayden’s performances on the day show that he is ready for a big push in 2017. Katie Williams continued her 2016 season silverware quest by taking 4 more on Sunday. 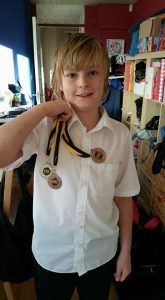 BBBA ended up handing her a silver and three bronze medals for her efforts on the mats. She has racked up an impressive medal collection throughout the year and impressed at the squad training the day before aswell. Teia Doyle, one of four of our younger members who started our ‘rising stars’ programme, smashed her categories on Saturday taking 2 golds and 2 silvers. Her performances with the shield and baton were brilliant and her 3 fights against BBBA’s Kiya were one of the highlights of the day. Teia’s 4 medals means that clan Doyle took home 13 medals on the day. 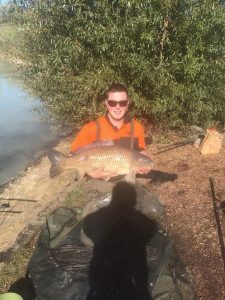 Harvey Tyler continued a memorable year with another 5-medal day out. On a day where a lot of epic fighters shone, Harvey’s ability to show controlled techniques when fighting smaller, less experienced fighters but still demonstrating his skill set at the same time is a real credit to the youngster. He also stepped it up when he needed to as he went on to win 4 golds and a silver, he was also on course for more but had to pull out of one category while he was with the medic to stop a nosebleed. Isaac light stepped up his performances for a good weekends work after squad training to come away with a hard fought bronze from the inter-club comp. An impressive rise in sparring ability over the last 6 months and Sunday he appeared to show he can both attack and defend when needed. Tilly Light continued her points fighting development and took an away day gold on a wet Sunday in Cornwall. Light, who shows great potential for 2017s season, excelled in her category and at times showed flashes of brilliance with techniques and set ups. She kept composed when she was, rarely, put under pressure to complete a medal-each haul for the Light family. Father Julian looked pleased with the day’s trinkets. 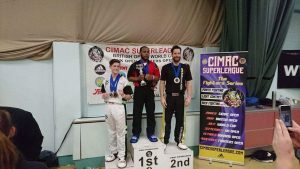 Tyrese Redgers took a very impressive gold in continuous fighting which was a big moment for a young lad who is desperate to go far in the sport. Tyrese also took a silver in points fighting which adds to other medals he has won this year. 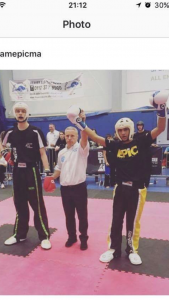 Tyrese listened well to his coaches advice while he fighting on the day which helped him massively. Alex Fellender-Evans took 4 silvers to add to a successful season in 2016. He was very unlucky not to take a gold, but he made the earlier rounds look easy at times which says a lot about the hard-work this young man has put in to this year. Both his points and continuous fighting looks sharp, mixed with quick footwork and crisp combinations when needed. Frankie stone stepped up fantastically on the day to claim her first gold away day trophy. Always smiling win or lose, always taking her coaches instructions on board and always striving to do her best. Everyone was proud of Frankie’s achievements this weekend. She took a silver to aswell wrap up the perfect weekend. Aaron Mountford stepped up recently into then squad which was good to see, with no expectations and against more experienced fighters Aaron, underdog at times, defeated all in his path to take a gold! Showing an understanding of points fighting is one thing but executing it effectively is another and his were some of the most pleasing performances on the day. Overall the day was massively successful and the coaches were very proud of all of them. With the CIMAC and Total Valour 3 left to see out 2016 the club can start to reflect on a good year. There has been a lot of positives to work with and this will be reflected in the end of year speeches. 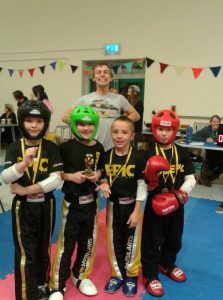 https://epicmartialarts.co.uk/wp-content/uploads/2013/04/logo-fat1.png 0 0 Andy Cleeves https://epicmartialarts.co.uk/wp-content/uploads/2013/04/logo-fat1.png Andy Cleeves2016-11-10 12:05:092016-11-10 13:25:02Medal Galore at Biggest day yet!